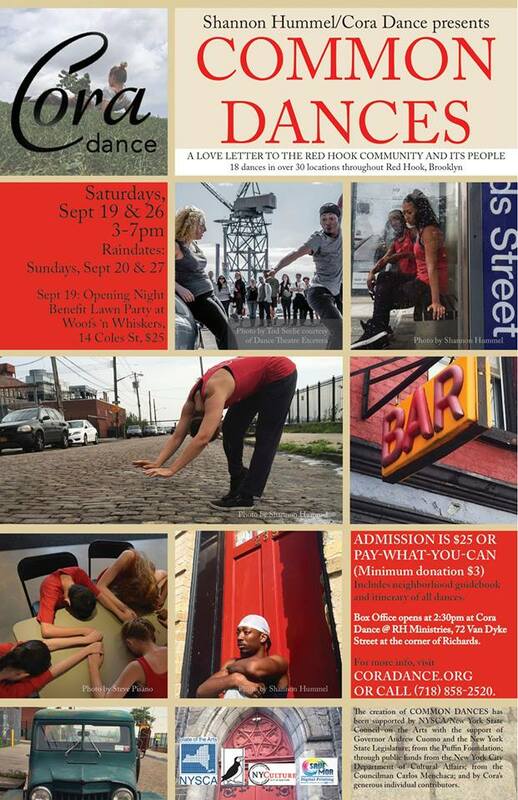 Cora Dance in Red Hook is a company, school, and studio that offers education to students, regardless of their ability to pay. It’s a unique system that, for six years, has enabled families and children to participate in dance classes that might otherwise be inaccessible due to financial limitations. The school welcomes hundreds of students annually and has a new permanent location in the works. When I first met Hummel, she told me about a huge Cora Dance company event coming up, called COMMON DANCES – it’s her “love letter to Red Hook” that offers attendees a guided tour through the neighborhood to see over 100 dance performances in unique spaces like bars, restaurants, and apartments. It seemed like perfect timing when I told her about our new space, and we agreed it would be fit for a slot in this event. It will be notable and memorable as Geneseo opens its door to the community alongside key neighborhood entities like Sunny’s Bar, the Red Hook Houses, and the Red Hook Library. 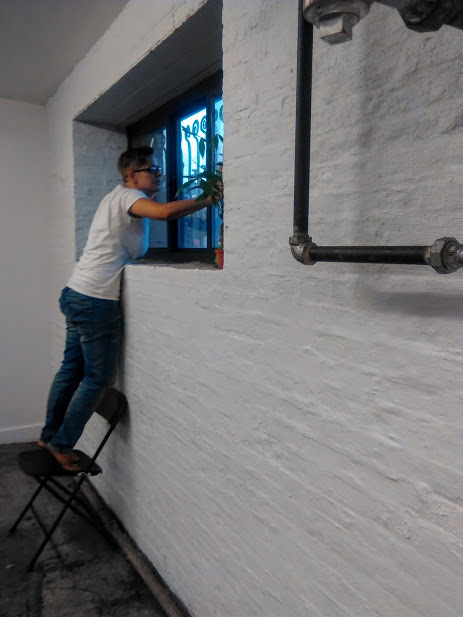 In our space, dancer Kelly Bartnik will perform Hummel’s piece “Desk,” which I think is suitable for a place that will soon be a hub for education and research. 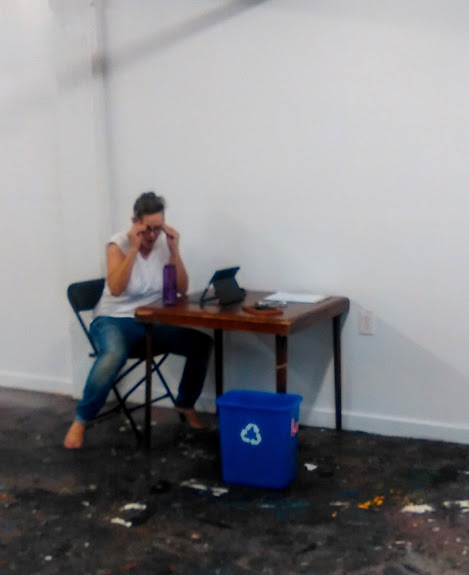 The piece is short – just one song – and involves Bartnik pacing (artfully) between her desk and the window, wondering if there is an out to what we understand to be an intolerable, uneventful, and mundane work life. 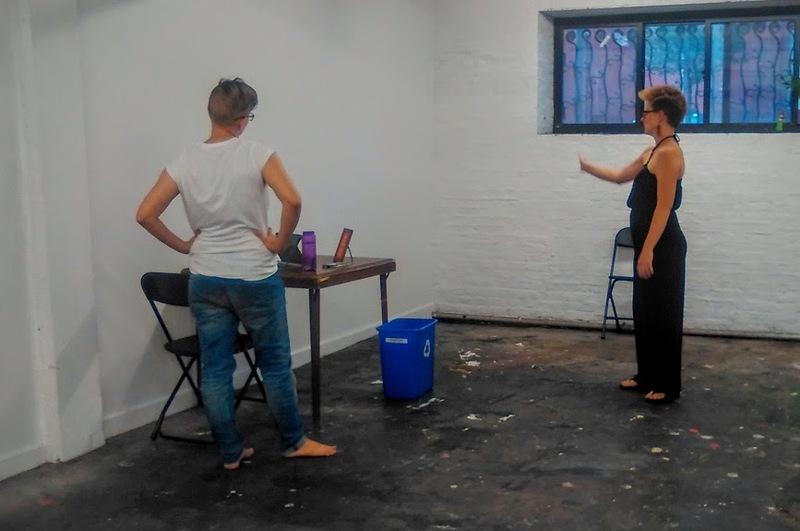 The dance is simple and subtle, but Bartnik offers movements that we can all relate to: typing furiously, chugging coffee, and daydreaming on the job.